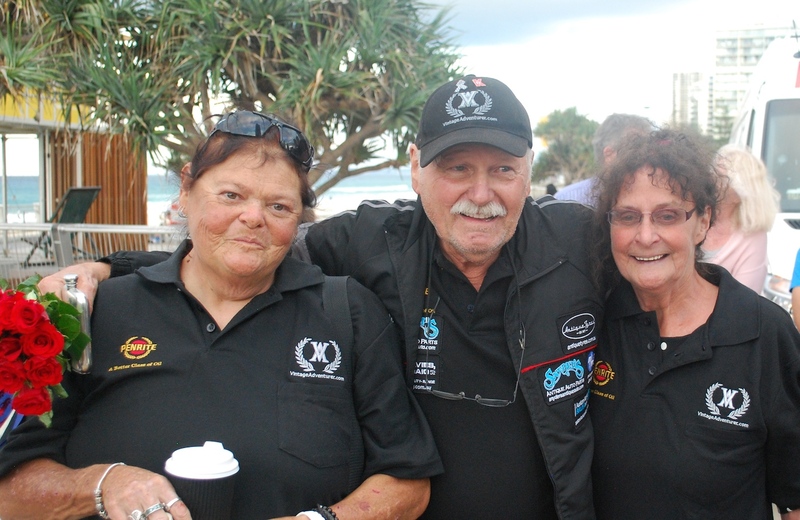 Apart from the co-driver, support crew and their families (mine too) I would like to give special thanks to Mayor Tom Tate and Deputy Mayor Donna Gates from The Gold Coast City Council and the Deputy Mayor Josh Wilson from the Fremantle City Council. Penrite Oil – what magnificent products. A big thank you for the support. Davies Craig – Electric Water Pump and fan were the key to the success. Thank you John Benson for your support and entertainment along the way. Williams Global – The best OS shipping agents that I use worldwide. Antique Tyres – Fantastic rubber, thanks Ben McKinnon Melb. Austen Ritchie Builders – Thank you Austen for being such a great co-driver and companion. Cheapa Auto Parts Oxenford – A special thanks to Trevor Duncan and the team for the advice and assistance given during the preparation. Beaudesert Exhaust – What a beautiful noise from that superb system fitted only days before we departed. The engine breathed just right. MD Auto Electrical – All worked perfectly, thanks to Matt Dawson. Graffiti Stickers – Great art work on the vehicles and a special thank you to Gordon and the team. GoTek7 – The tracker is a great product and allowed families and friends to see exactly where we were at all times on the desk top. Peter Turner – Local film maker and photographer who went both ways across Australia filming and driving…a sterling job Peter. A very special thank you to Andrea Seed – Poppyseed Media UK who drove both ways across Australia and produced a YouTube clip within hours of arriving back to base and posted news items to the press worldwide along the way as well as instant posts to Facebook.